Fortis Property Group has closed on its purchase of 30 Front St., previously used as a parking lot, from the Jehovah’s Witnesses for $91 million. This was the last remaining property at the Witnesses’ former Brooklyn headquarters, according to The Real Deal. Fortis plans to build a 26-story apartment building on the site with 74 units. It will include 178,000 of residential space and 72,000 of community space, The Real Deal reported. Fortis is also planning a mixed-use project at 350 Hicks St. in Cobble Hill, part of the former Long Island College Hospital campus. 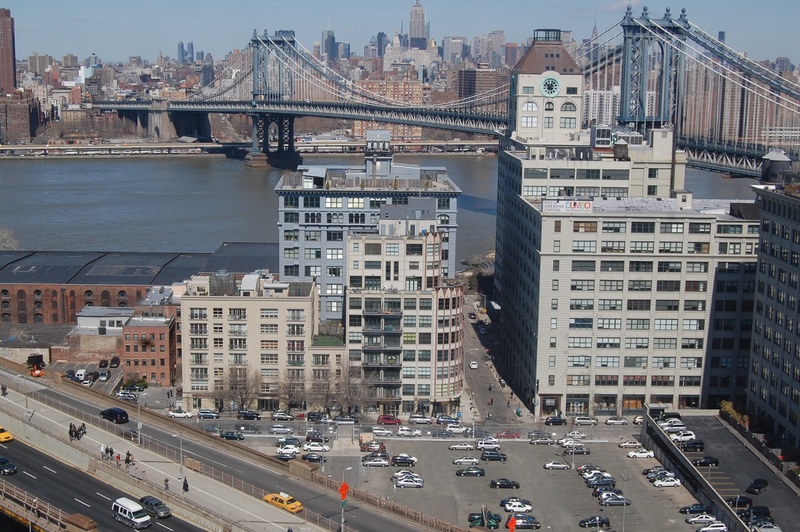 The photo is not 30 Front Street—it’s the view looking west from it.